My home state of Arizona, in a 50.1 percent majority–clearly in a drug-induced haze of smoke–voted to legalize medical marijuana. The final count was a staggeringly close margin of 4,300 votes. What, say you: toke up or no toke up? Remember when Conan O’Brien got fired from NBC for not “performing,” and then Leno got his old show back? Yeah, well Conan just killed it! As in, he shut everyone up. His ratings were, to say the least, impressive. 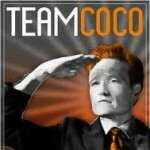 I heart you, Conan. Way to go. Don’t know if you have seen it or even heard of it yet, but The Walking Dead is my new Sunday night fixation. For those of you that have been around here for, like, only a minute, you know that I love me some zombies. Well, AMC’s new drama is both deliciously suspenseful and zombie-filled. Um, it doesn’t get much better… or gorier. On a side note, The Walking Dead also garnered record-breaking ratings. See, it’s not just me. Check out this nifty stuff–click the link here to automatically share your Daily 3some with me via Facebook or Twitter. Facebook or tweet me your 3some for the day. I CANNOT believe that AZ legalized MJ. I am ashamed, but I realize that those who voted in favor had good intentions, it being for medical purposes and all. HA! I know! It’s shameful (I’m shaking my head in shame right now actually) but what are you gonna do? Hopefully we can keep the legalization to medical marijuana and nothing further. Ever. Just to clarify, it wasn’t a full legalization measure, just a measure to allow for limited prescriptions. It’s a bit confusing because California had a proposition that actually would make marijuana legal under state law (there’d be a conflict with federal law though), which didn’t pass. 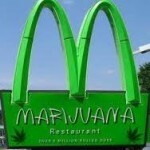 If the one in question in Arizona was actually about full legalization, people would be raving about it much more. (I don’t smoke pot myself, but I have some friends who love the stuff and were talking a lot about it possibly being legal in California). We cry about medical MJ, but then we have no issue with chemically laced opiates prescribed over the counter? These opiates are PROVEN to be addictive and kill people in overdoses every single day. They have to make new pills just to get us off the other pills. Of course, never mind the fact that the drug companies have both democrats and republicans in their pockets to maintain the status quo. Keep in mind, I don’t smoke weed. In fact, I’ve never touched it. I’ve been around it being smoked, it smells like burning wire, which to an electronics geek like me is a bad smell. With that said, it is a well known fact that legalization would greatly diminish the power of the cartels. We tried prohibition of another controlled substance once (alcohol), all we got out of the deal was the mafia’s permanent foothold in the United States. Then again, I find myself to be far more civil-libertarian on a number of issues than a lot of people I know (not to be confused with liberal). I know I’m about to sound like a politician but here goes: Legalizing marijuana, even for medical reasons, is a slippery slope (I both hate and love that expression). I could and would never be in favor of legalizing marijuana across the board since I did smoke weed at one time. Having said that, the argument that weed is harmless goes right out the window for me. I know what it does and how it makes you feel (or not feel for that matter) and I could never in good conscious approve such legislation. The difference, in my mind, with Prohibition of alcohol was that people were already accustomed to liquor, then a group of radical religious folks took it away. People had already tasted the forbidden fruit, so to speak, and knew what they were missing out on. I hope marijuana never has that chance on a national scale. I like Libertarianism by the way–but only in theory, never in practice. :) Great comment, Joey, as usual. Thanks! P.S. I think you just received the first ever emoticon I have ever typed on my blog! It makes me a bit nervous to see MJ legalized because what usually starts in the US eventually makes it way here to Australia. The drawn line just keeps getting pushed a little farther back, bit by bit. Will it ever stop? I know, it’s a bit scary Janine. I agree. On the bright side, marijuana is almost totally legal in California and they are doing okay…oh, wait. Never mind. am i related 2 u? It really does disturb me that marijuana has been legalized. I have not read the standards yet, but regardless of what they are, this is just cracking the door open a little bit. I have a sickening feeling in my stomach on this one. I have smoked before, many times, too many times, and I know what that stuff does, how it makes you feel, and what people do when they are on that stuff. I do not believe that marijuana could or should be used for medical purposes. I just hope and pray that there are strict rules, regulations, and laws put on the usage of marijuana. Like, you must stay inside your home when high, you are not allowed to drive any vehicles when high, you are not allowed to have children in the house when you are smoking or while high. The more I think about this legalization and where it could go, the more I want to vomit. If it is legal, you still don’t have to smoke it yourself. Agreed Bradly. I think the point though, as I commented to someone else, is that it becomes a slippery slope. California started out with medical marijuana and slowly, through continued legislation, their criminal punishment for possession and the like ,has become more and more lenient. I think the way we view drug use, however seemingly benign (like medical use marijuana) is a reflection on society as a whole. When a community, or a state in this case, okay’s something, even if individuals do not participate, it is indicative of their moral standings. Ugh this makes me sick. All the press conferences with our Dept of Health expressing how they don’t have funds and staff with all the cuts in the last two years to be able to set this program up and regulate it makes it even worse. I could possibly concede it being a controlled prescription drug – like Joey talked about – dispensed through pharmacy’s – but this whole distribution center thing + the ability for patients to “grow their own” if 25 miles from a dispensery is ridiculous. While I realize the legislation was for medical use, it certainly doesn’t feel that way. As you brought up Nicole, it becomes impossible to put controls around and introduces a downward slope to more and more leniency. As a parent it bothers me even more. I hate it when I have to try to steer my kids clear of cigarette smoke (Maddi has asthma) now I have to avoid MJ smoke as well? Nick, I understand marijuana can help in medical instances, I just find those instances to be far too few to justify it’s legalization. The legalization of medical marijuana can, in some cases, lead to legalization across the board and that I just can’t support. I’m sorry that your health condition has brought you to seek relief from marijuana. Although I do sympathize with your situation. Thank you for commenting and sharing your story. 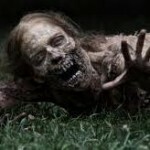 So I’m a little slow on the commenting, BUT, how about them zombies, huh??? Everyone’s writing about vitamin THC and I think the zombies are feeling a little left out. And Conan too. I must say, however, that I HATE his commercials that are shown WAY too many times in a 1-hour block. Ugh..